On the evening of April 12, less than a week after Presidents Barack Obama and Raúl Castro historically shook hands at the seventh Summit of the Americas, Herrick, Feinstein LLP and Akerman LLP co-sponsored a discussion entitled “The New Cuba: What You Need to Know About the Cuban Art Market” at Herrick’s offices in Midtown Manhattan. The seminar, featuring several distinguished speakers, explored the finer points and risks of buying, selling and collecting Cuban art in light of the President Obama’s recent decision to normalize diplomatic relations with Cuba. The history of art nationalization in Cuba and how to avoid legal exposure by engaging in provenance- related due diligence. Introduced by Howard Spiegler, Partner at Herrick, the speakers on this first panel were Carlos Méndez-Peñate, a Partner and Co-Chair of the Latin America & the Caribbean Practice at Akerman LLP, Augusto E. Maxwell, a Partner and Chair of Akerman’s Cuba Practice and Alberto Magnan, the Cuban-born Gallery Principal at Magnan Metz Gallery. Mr. Méndez-Peñate began by addressing the current state of the law regarding relations between the United States and Cuba, focusing on the Cuban Assets Control Regulations (CACR) which have been responsible for the American embargo on Cuba since being enacted by Congress in 1963. The CACR (which Lesley Sotolongo previously discussed for Center for Art Law) prohibit most forms of trade with Cuba but § 515.206(a) of the regulations explicitly exempts several different types of transactions from the ban including, most pertinently to this discussion, information and informational materials. The definition of “information and informational materials” specifically includes “artwork” and names several different types of media including films, posters and CD ROMs. However, as Méndez-Peñate pointed out, the item that is the subject of the transaction must be bought as is – meaning that, while Americans may buy completed artworks, they cannot commission a Cuban artist to create a new artwork nor hire a Cuban artist to alter or put the finishing touches on a preexisting project. Méndez-Peñate also mentioned that, because the embargo is embodied in statutory law, it will ultimately require an act of Congress to repeal and, until that time, any progress perceived to have been made by President Obama can easily be undone by the successive administration in 2017. Mr. Maxwell then spoke about the specifics of traveling to and buying art in Cuba. He explained that the Office of Foreign Assets Control had recently relaxed its rules by issuing general licenses allowing travel to and transactions in Cuba for non-specific purposes and lifting the per diem limitation on expenses (which previously limited spending to $188 per day in Havana). Maxwell also discussed a roadblock for visitors to Cuba which may soon be resolved – because of Cuba’s status on the State Department’s list of State Sponsors of Terrorism, many banks refuse to do business in or with the island nation and, as a result, Americans’ credit and debit cards have long been nonoperational within its borders. 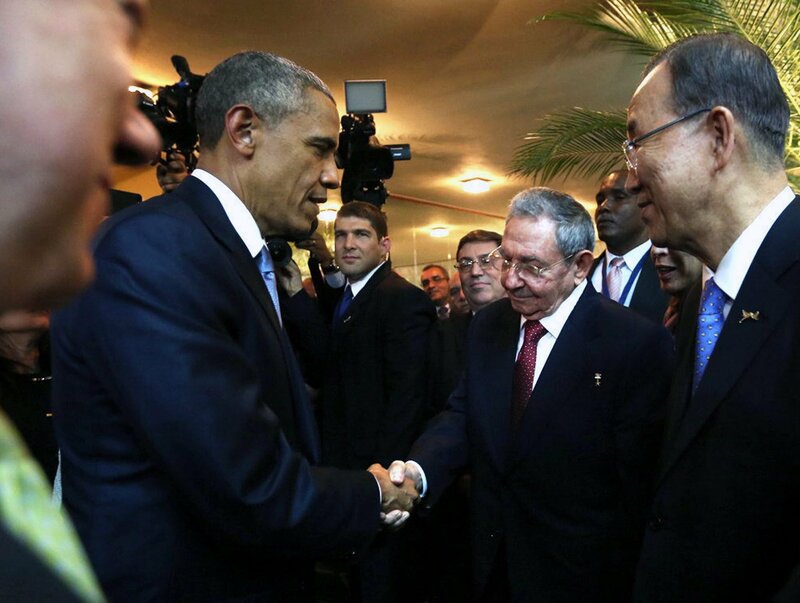 Given President Obama’s recent endorsement of removing Cuba from that list, however, Americans may be able to buy art in Cuba using their credit cards before long. Finally, keeping in mind the sociopolitical sensitivity underscoring all interactions with Cuba, Maxwell outlined three things for buyers to beware of when shopping the Cuban art market: (1) artwork previously confiscated by the Cuban government, as rightful ownership and legal title may be subject to challenge, (2) purchasing works created by artists who have close ties to the Cuban government, as patronizing such artists may cause reputational damage to the buyer in anti-Castro circles, and (3) the danger of buying fakes in light of widespread forgeries in Cuba. Lastly, Mr. Magnan discussed the history of art in Cuba since the 1980s and the current state of the nation’s art community. He lamented the fate of Cuba’s national art museum, the Museo Nacional de Bellas Artes de La Habana, which has suffered under the embargo as it would surely benefit from using American building materials for structural maintenance. At present, the museum relies largely on mid-20th century American air conditioners to control its climate and preserve its artworks. Magnan has contributed to the Cuban art community by exhibiting their work at his Manhattan gallery and curating shows in Cuba. The second panel addressed the subject of the nationalization of art by the Cuban government and the resulting legal risks in transacting in Cuban art. This discussion was covered by Mari-Claudi Jiménez, a partner in Herrick, Feinstein’s Art Law practice group, Monica Dugot, Senior Vice President and International Director of Restitution at Christie’s International and Lucian Simmons, a Senior Vice President at Sotheby’s New York and head of their Worldwide Restitution team. 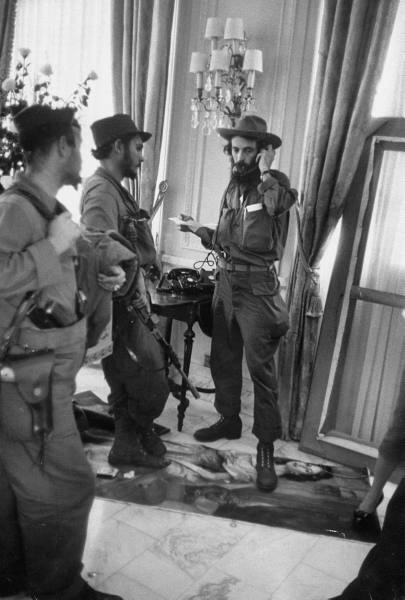 The Cuban Revolution was fought from 1953 to 1959 and resulted in the establishment of Fidel Castro’s communist government which remains in power today. After Castro assumed office, art was among the many valuable resources confiscated from private citizens and redistributed. Most of that immeasurable hoard of art wound up in museums, in the homes of government officials or sold abroad at auctions. However, while the identification and restitution of art confiscated under similar circumstances in other countries has long been a major cause for concern in the art market, the status of art looted during the Cuban Revolution has become a topic of interest only recently according to Ms. Jiménez, who recently spoke on this topic at the annual American Society of International Law Annual Meeting in Washington, D.C. According to her, part of the reason that awareness for this issue has lagged so far behind is due to the insular nature of the nation and that Cuban families often lack the resources to identify, locate and secure the return of their missing heirlooms. While it would be reasonable to assume that a framework for restitution could be instituted similar to the one which has facilitated the return of so many Nazi-looted artworks, there is an operative difference between the two regimes, which makes such a proposition inapposite. The key difference is that the United Nations’ London Declaration of 1943 invalidated all transfers of property made by the Nazi regime, thereby giving rightful title of any artwork taken by the Nazis to the owner from whom it was taken. Conversely, the nationalization of previously privately owned artwork by the Cuban government is given full legal effect, leaving original owners without any clear legal recourse. Therefore, for most Cuban victims of art confiscation, restitution is not so much a goal as it is a hope. According to Ms. Dugot and Mr. Simmons, neither Christie’s nor Sotheby’s has yet had occasion to return much, if any, artwork looted or nationalized during or after the Cuban Revolution. However, both institutions do have agreements with specific families who had significant collections confiscated to be on the lookout for and notify them of any works that may have previously belonged to their families. Dugot also mentioned that, in addition to returning Nazi-looted artwork, Christie’s has been able to return pieces nationalized by the Soviet, Cambodian and Egyptian governments. Given that due diligence can often only be as thorough as the resources consulted, Dugot implored victims to register their missing art in stolen art databases whenever possible. “The New Cuba” left attendees with mixed feelings as to the future of the Cuban art market. While America’s relaxation of its sanctions against Cuba seems likely to facilitate relatively free trade between Cuban artists and American buyers, there is no guarantee that the market will not be replete with artwork taken from their original owners by the Castro regime. Although Cuban nationalization of property is given legal effect in the U.S. and Cuba and the original owner of such a work therefore may not have superior title to the work, the stigma of forceful takings runs counter to the values and standards of the present day art community. This creates a moral dilemma for subsequent purchasers of the work. And, as Lucian Simmons said, good “moral title” is often just as important as valid legal title.